This tiny town was established by Rajendra Chola, the son of Rajaraja Chola. Rajendra Chola ruled his kingdom which stretches from lands nearby River Ganges to Ceylon, from this town. Tourists can see the remnants of Chola Fort which was actually built using burnt brick. 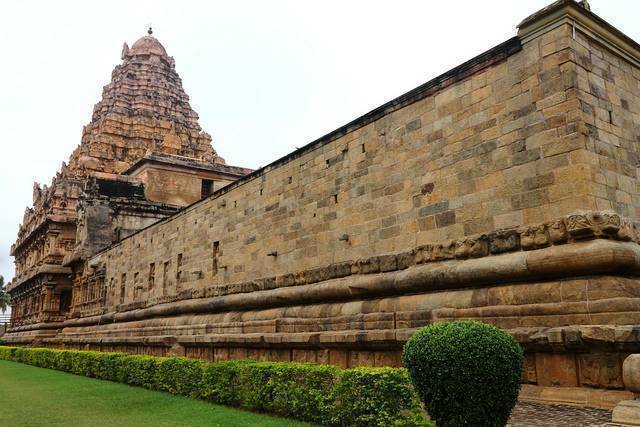 Rajendra Chola built a replica of Thanjavur Big Temple in this town. “Mahaduvar” on eastern side passage leads the tourists inside the temple. Tourists will be captivated by the view of Main Tower which is 182 feet. The tower is built in Dravidian Style of architecture. There are shrines for Chandikesvara, Goddess Durga, etc. Tourists can see a Statue of Lion guarding a well named, “Simhakeni”. This temple is one of the “Great Chola Living temples”.